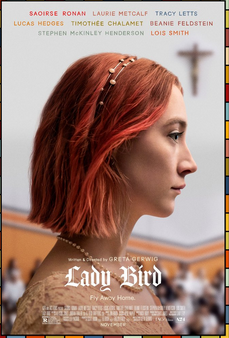 I just finished watching the film, Ladybird, which is nominated for a pile of Academy Awards including Best Actress and Best Supporting Actress (along with other minor categories like Best Picture, Best Director, Best Original Screenplay … yadda, yadda, yadda). My 16-year old son recommended it to me. It’s on his “t0 watch” list and he’s exceptionally picky about movies. If Matt says a movie is good, you know it’s good. It’s also got a 99% rating on Rotten Tomatoes <!!>. So coming so highly recommended my hopes were equally high. And I was not disappointed. This is my favourite kind of film: it had highs and lows, some LOL moments, some cringe-worthy moments, a few tears, and a deep sense of satisfaction and realness at the end of the film. Saoirse Ronan was exceptional (as usual) in the lead role but the real star for me was Laurie Metcalf. She was absolutely amazing as Ladybird’s mother. Her performance moved me to tears. I’m not a big award show person (I’m a cynic who thinks they are too political to be honest; and besides how can you “judge” art?) but this time I’d love to see Metcalf take home the Oscar. She really deserves it. This year I’m actually watching the award show because I’m also 100% invested in whether The Big Sick takes home the award for Best Screenplay. I’ve recommended this movie to so many people and have watched it countless times since purchasing it last fall. I will watch anything Emily V. Gordan has a hand in writing and this is a special project for her. I would really love to see her (and Kumail Nanjiani) take home the hardware tomorrow night. 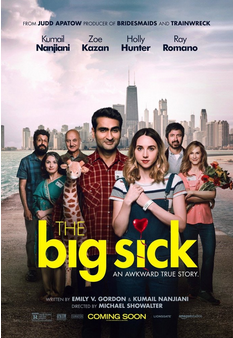 Ladybird was also brilliantly written but I’ll be hoping for it to receive Best Supporting Actress and for The Big Sick to get the writing award. Regardless of awards, however, both of these movies are must-sees. If you haven’t watched them yet, put them on your to-be-seen list.